Irvine Public Schools Foundation (IPSF), a leading educational nonprofit organization focused on enriching the educational experience of each child in every school, hosted its 6th annual Top 100 Reception on Wednesday, January 30 at The Resort at Pelican Hill in Newport Beach. The list of Top 100 companies were honored for their commitment to excellence in education by supporting IPSF’s mission. These socially responsible companies are investing in Orange County’s future by ensuring local youth have access to educational resources that will enhance their academic and future success. 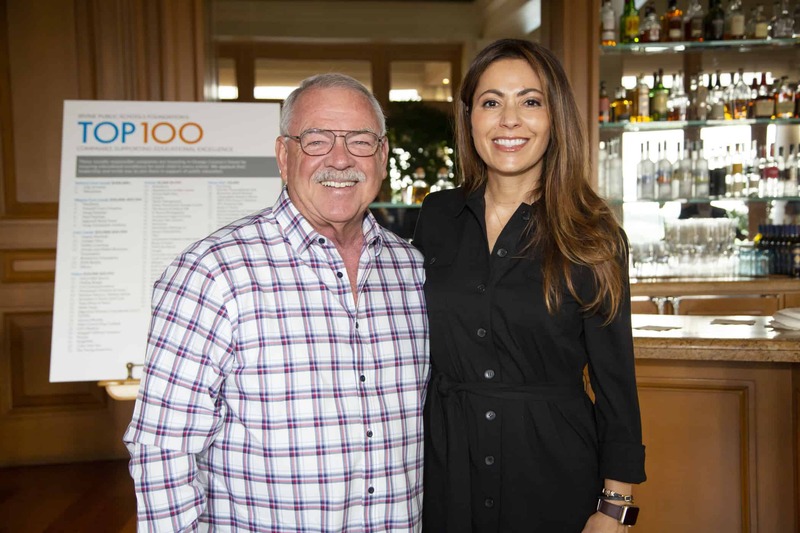 Companies represented on IPSF’s Top 100 List include global brands such as Google, Maruchan, and Konica Minolta, as well as some of Orange County’s most influential corporations, including Wells Fargo, FivePoint and Ingersoll Rand/Trane. Corporate giving to IPSF last year, including the generous City of Irvine Challenge Match Grant funds, totaled more than $2.6 million. IPSF is ranked #3 in the nation and #1 in California amongst K-12 education foundations by Stepping Up: The Nation’s Top K-12 Education Foundations. The nation’s annual study and ranking of K-12 education foundations, reflects the large impact that local communities led by business leaders make on public education.